I’ve been plodding on with y Dark Age project and painting more Saxons. 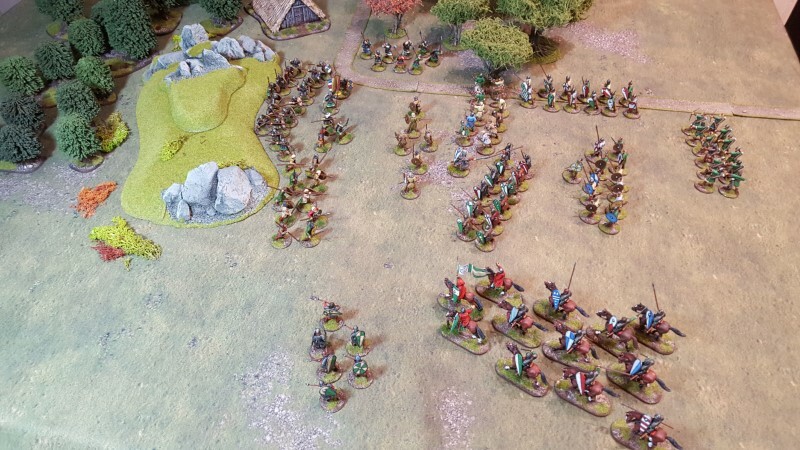 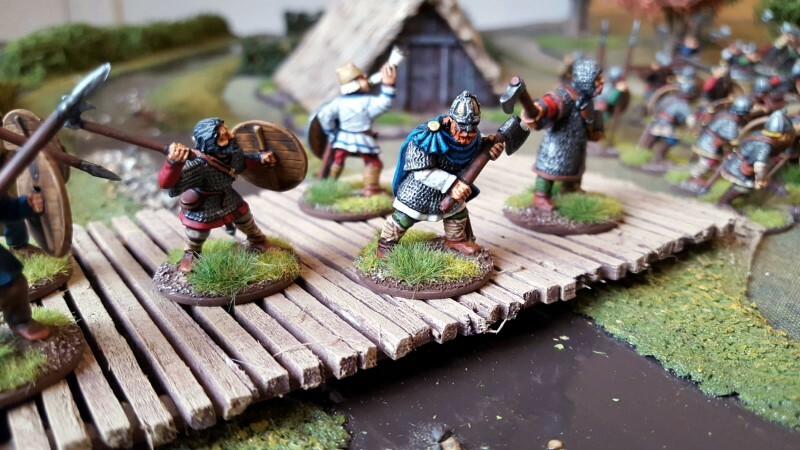 Despite having almost finished off another batch of Fyrd I decided to drop all my current stuff for this project (the Saxons and the Normans from Ayton last year) on the table to take some pics. 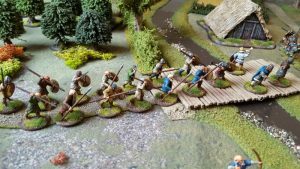 Just to see how it was coming together. 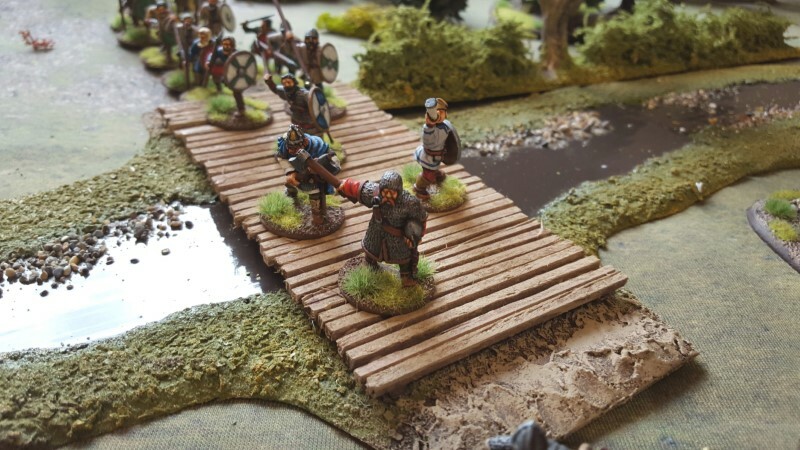 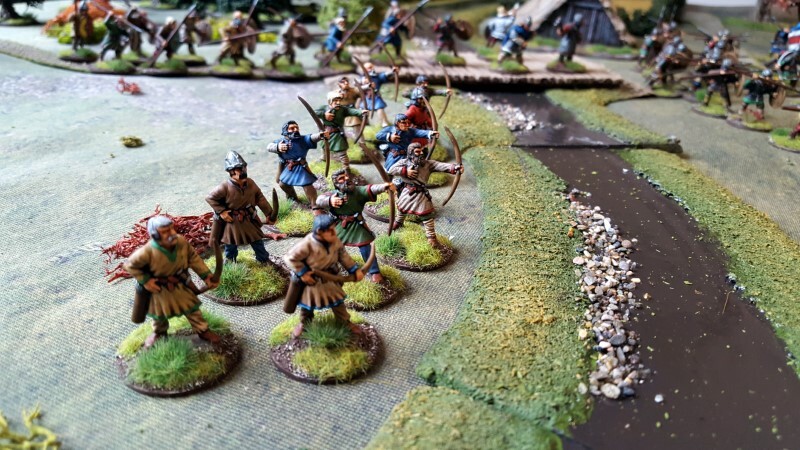 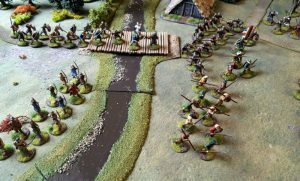 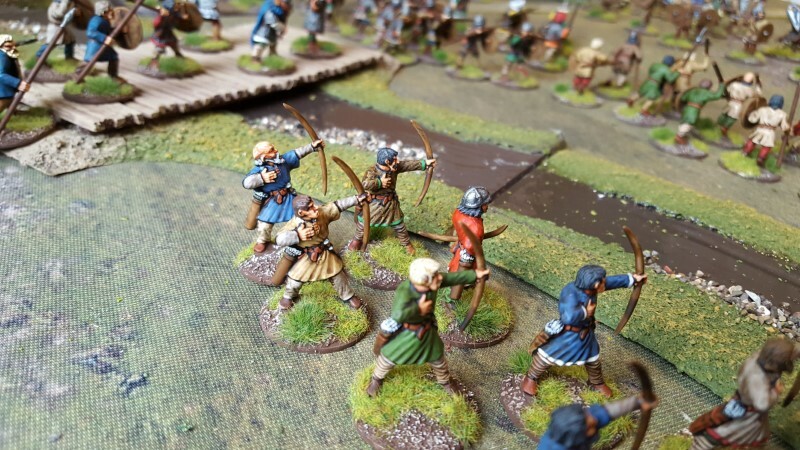 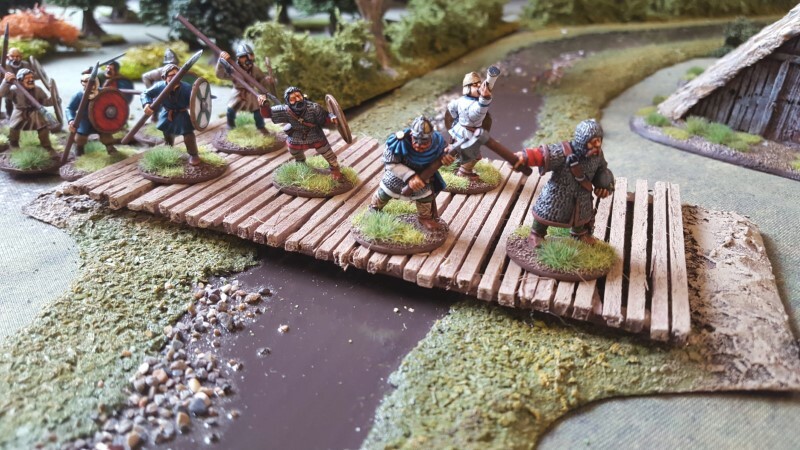 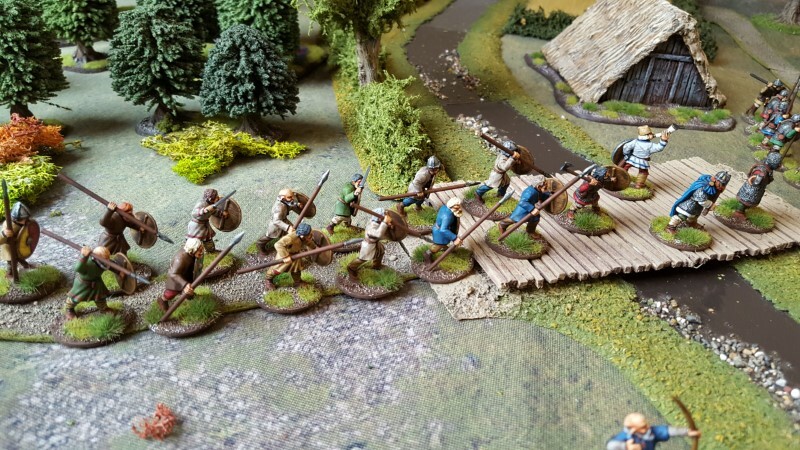 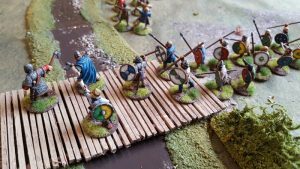 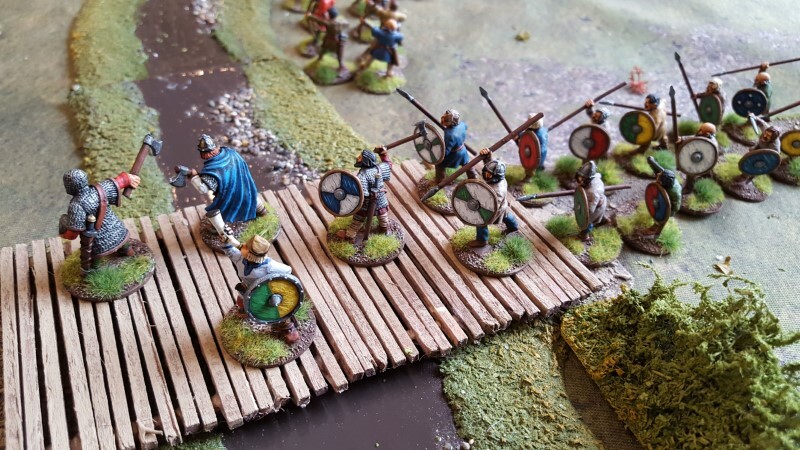 And on the bridge are Eorconweald and Aethelwald of Steadwick, the rather stubborn and belligerent Viking (and most other things) hating brothers! I’ve got a few more bits of stream and a load of hedges. 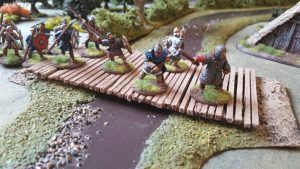 I quite like the stuff and for the price it us pretty good. 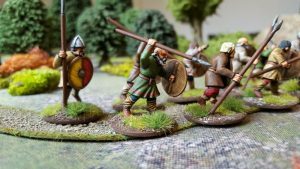 I’ve got some civilians to paint and a few odds and ends of Normans and then, as I keep saying, I really must play a game!!! Yes, Last Valley terrain makes even throw away games look good! I like the new guys! 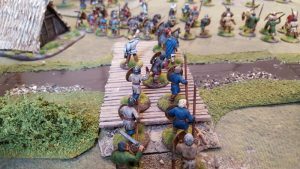 Go forth and pillage!